The Ergo-press is the core component of the allnew Ergo range. 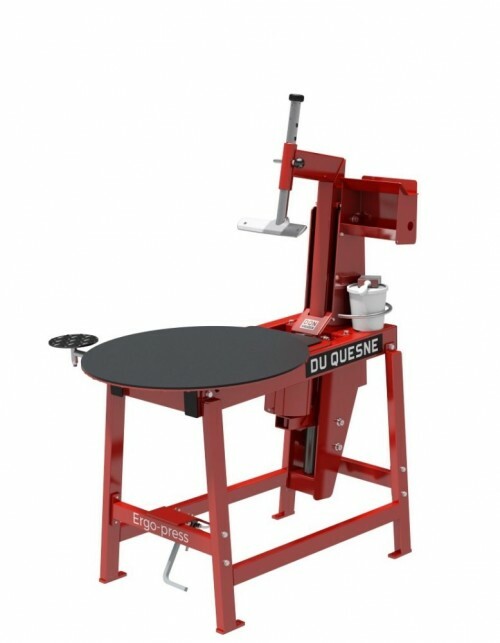 This pneumatic table bead breaker brings comfort, efficiency and safety. The linear movement of its “ram” gives perfect control over the ram’s trajectory. Its mobile table with the automatic locking system allows the easy positioning and the fixing of the wheel during the bead loosening. Its DQN hydraulic shock absorber guarantees a smooth bead breaking.